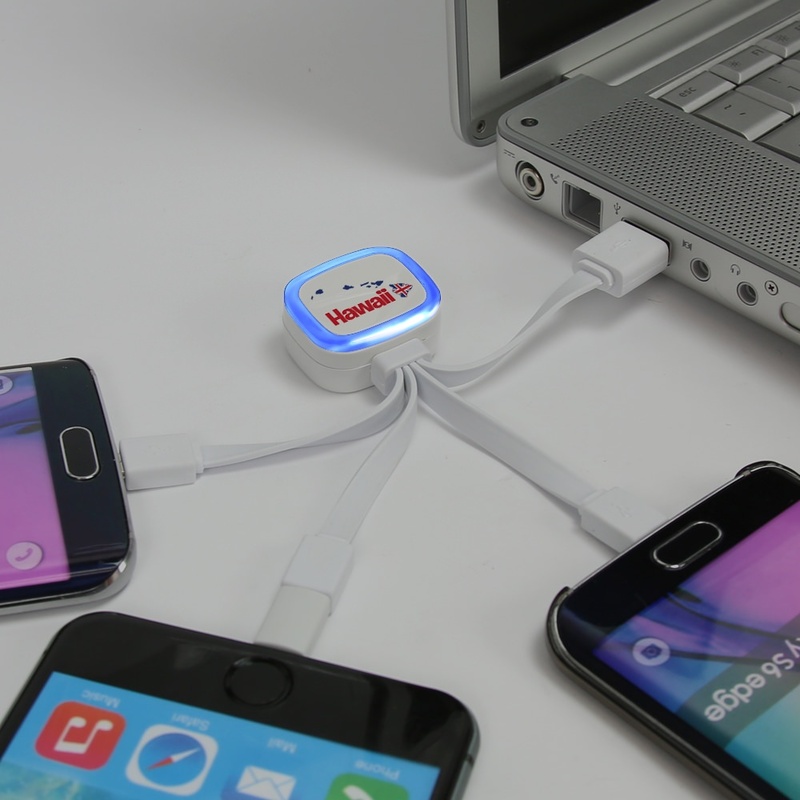 Get more done while doing less! 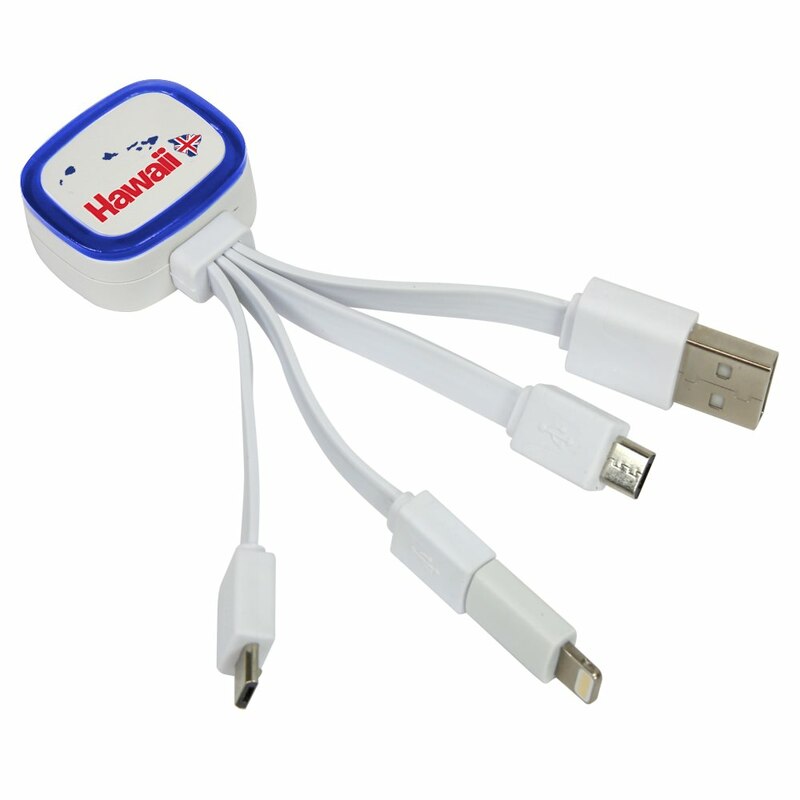 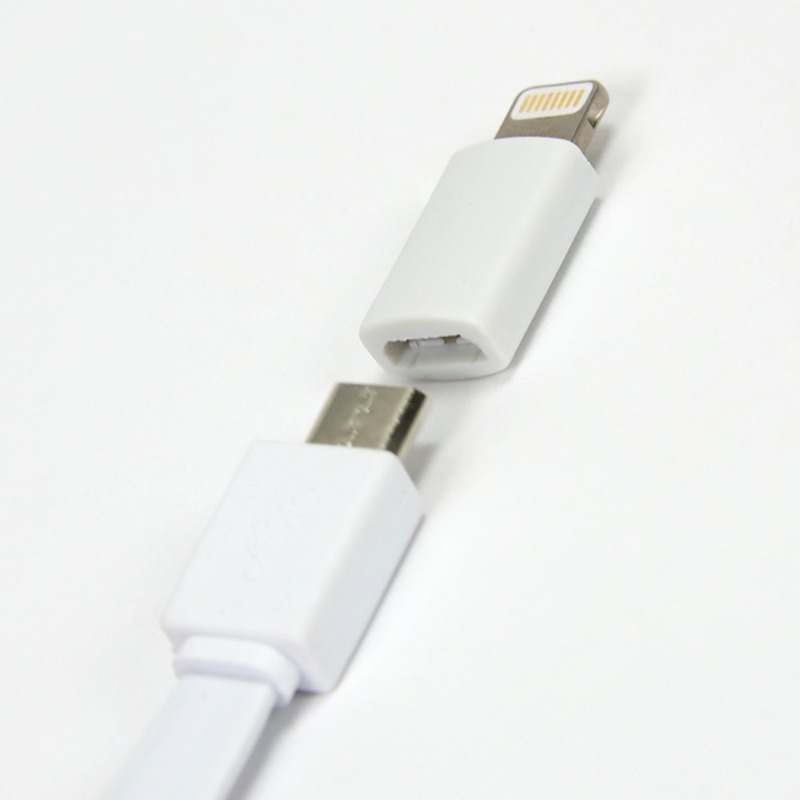 This Hawaii Islands Tri-Charge USB Cable with Lightning Adapter allows you to charge up to three devices at once! 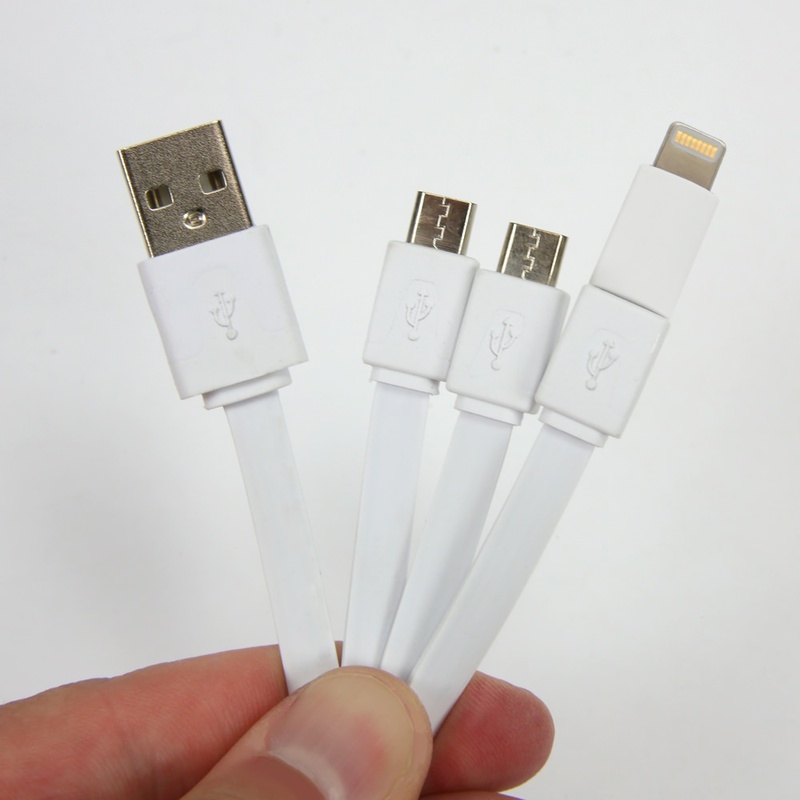 It comes with a standard Type-A USB connector and three separate Micro USB connectors, plus a Lightning adapter! The Hawaii logo shines boldly with the light up ring on the housing, making it an excellent gift or souvenir!